I am gratified to The Great Allah Almighty; “The Most Merciful and Beneficent who empowered me learn and complete the task successfully”. And I pay tribute to The Holy Prophet Muhammad (Peace be Upon Him), they are life time guiding torch for me. I pay my gratitude to respected Director Professor Institute of Agricultural Sciences, for commanding such a prestigious institute and giving me the opportunities for research, education as well as extracurricular activities. I would like to express my deepest appreciation to my supervisors who provided me possibility to complete this research project. They guided me throughout my laboratory work and their practical advices were helpful for my future objectives. Lastly I must pay my complements to beloved parents and friends for their prayers, moral and financial support during all my bachelor study and inspiring me at each level of my life. Introduction to PCSIR. Pakistan council for scientific and industrial research. The Pakistan Council of Scientific and Industrial Research (PCSIR) is a government-owned science and industrialization research organization which mainly focuses on the development of industrial research. Initially established as Pakistan Department of Research in 1951, it was reformulated in its current state in 1953. The laboratories are assisting the academic institutions by providing facilities to their M.Sc., M.Phil. and Ph.D. students which to date can be counted in thousands Various Centers and Divisions are manned by highly trained researchers. Necessary additional facilities such as workshops, libraries and pilot plants are adequately available to meet the R&D support needs. Food and Biotechnology Research Centre was established in 1977 by the merger of two separate divisions namely, Biological Evaluation and Fermentation and Food Technology & Nutrition. 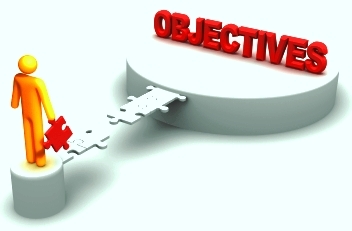 Among the major objectives of this center are the assistance in the establishment / development of food and biotechnology industry in the country through value-added output from low-priced raw material, bio-resource development and utilization, quality assurance of finished products, resolution of industrial trouble-shooting, and attracting small and medium level entrepreneurs to establish the industry. To develop new and finished quality food and bio-technical products from low cost raw materials. In biochemistry, for example, it is used to determine enzyme-catalyzed reactions. In clinical applications, it is used to examine blood or tissues for clinical diagnosis. A spectrophotometer is an instrument that measures the number of photons (the intensity of light) absorbed after it passes through sample solution. With the spectrophotometer, the amount of a known chemical substance (concentrations) can also be determined by measuring the intensity of light detected. UV-visible spectrophotometer: uses light over the ultraviolet range (185 – 400 nm) and visible range (400 – 700 nm) of electromagnetic radiation spectrum. IR spectrophotometer: uses light over the infrared range (700 – 15000 nm) of electromagnetic radiation spectrum. In visible spectrophotometry, the absorption or the transmission of a certain substance can be determined by the observed color. For instance, a solution sample that absorbs light over all visible ranges (i.e., transmits none of visible wavelengths) appears black in theory. “Probably the most important instrument ever developed towards the advancement of bioscience”. (Robert D. Simoni, et al., 2003). Visible spectrophotometers, in practice, use a prism to narrow down a certain range of wavelength (to filter out other wavelengths) so that the beam of light is passed through a solution sample.The procedure of spectrophotometry includes comparing the absorbency of a blank sample that does not contain a colored compound to a sample that contains a colored compound. Spectrophotometer is used to measure colored compounds in visible region of light (between 350 nm and 800 nm). (Alexander J, et al., 2010). By 1940 several spectrophotometers were available on the market, but early models could not work in the ultraviolet. Arnold O. Beckman developed an improved version at the National Technical Laboratories Company, later the Beckman Instrument Company and ultimately Beckman Coulter. This instrument was produced from 1941 until 1976 with essentially the same design over 30,000 were sold. “Probably the most important instrument ever developed towards the advancement of bioscience” said by Nobel chemistry Bruce Merrifield. (Robert D. et al., 5 December 2003). When it comes to measuring the intensity of light on samples, nobody does it better than the spectrophotometer. It made chemical analysis process easier and faster and has proven to be accurate with its results. But it was not always this way as life in the chemistry world was much harder and slower before.Before the 1940s, scientists had a hard time with the chemical analysis process because the results took longer. Per MIT’s “Inventor of the Week” archives, it took weeks for the results to come out and, most of the time, there was only 25 percent accuracy. It was rather depressing for these scientists because quick results are very important to them, and there wasn’t any good laboratory equipment at that time to make the process faster. Spectrophotometry in astronomy refers to the measurement of the spectrum of object in which the flux scale of the spectrum is calibrated as a function of wavelength, by comparison with an observation of a spectrophotometric standard star, and corrected for the absorption of light by the Earth’s atmosphere. (Oke, J. B. Gunn, J. E. 1983). Human existence depends on receiving energy which is required for its body life and it is achieved by agriculture products and manufactured food. Supplying sufficient and qualified agricultural products require high-tech instrumentation and applying of appropriate tools which are adequate/reliable, fast, and non-destructive. Spectrometry, as a recent procedure of measurement and instrumentation, has found a venerable value in sciences, especially in agriculture and food industries. Field monitoring and quality control are the most important practices that are reported to be done by spectrometry methods. (Mavrodineanu, ltz, J. I. 1973). 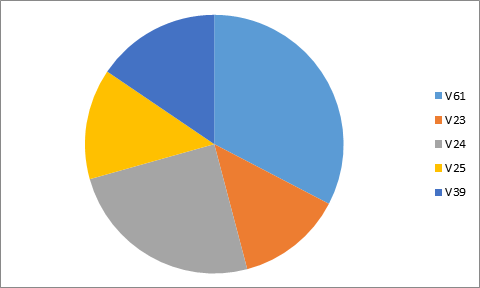 The analysis of deoxyribose nucleic acid (DNA) by mass spectrometry (MS) has evolved to where it can be used to analyze most known types of DNA and ribose nucleic acid (RNA) situations. It can efficiently deal with the analysis of DNA polymorphisms, sequences, haplotypes, human leukocyte antigen (HLA) typing, DNA methylation and RNA expression. Implementations of MS for these forms of DNA analyses are reviewed. The use of DNA analysis by MS is compared with competing technologies. Colorimeters are ideally suited for evaluating final color results and identifying unwanted color variations. By using an illuminant and standard observer combination along with a tri-stimulus absorption filter that isolates a broad band of wavelengths, a colorimeter distills color information into tri-stimulus values to produce objective color data. Disadvantages: While colorimeters can produce highly accurate color measurements, they also have several shortcomings; they are not able to identify metamerism or colorant strength, are not ideally suited for color formulation, and cannot be used under variable illuminant/observer conditions. Spectrophotometer is an instrument designed for physical sample analysis via full spectrum color measurement. By providing wavelength-by-wavelength spectral analysis of a sample’s reflectance, absorbance, or transmittance properties, it produces precise data beyond that observable by the human eye. Advantages: Spectrophotometers offer a higher level of flexibility and versatility than colorimeters as they offer multiple observer combinations and can operate in multiple geometric arrangements, including 45°/0° and d/8°. As such, spectrophotometers are capable of measuring metamerism, identifying colorant strength, analyzing a comprehensive range of sample types. Full spectrum analysis also provides for greater specificity, potentially identifying color differences missed by colorimeters. Spectrophotometric instruments are ideally suited for a broad range of applications in the research and development phase, including color formulation and color system development, as well as color quality control throughout production. The research analysed the occurrence of chlorophylls in leaves in Chrysanthemum grown in the glasshouse over 2010–2011. The plants were exposed only to short day induced by darkening, applying no supplementary lighting of the plants. 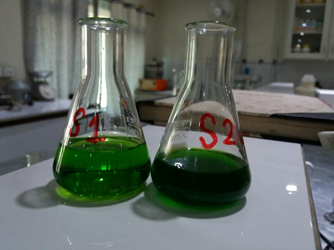 To extract chlorophylls a and b from leaf explants, concentrated acetone was used. The samples with extracted pigments were exposed to studies applying the spectrophotometer UV-VIS 1601-PC at the wavelength corresponding to the maximum of the band of a given pigment. In past, the study used to explore the effect of different scales in the high spectral data on the estimation of chlorophyll content of apple leaves, to find out the optimal differential window scale and to establish a model for estimating the chlorophyll content of apple leaves. Taking the apple leaves, the actual spectral reflectance of the leaves was determined by the ASD Field Spec 3 spectrometer and the chlorophyll contents of the leaves were measured. This study was done to find out the best quality apples having suitable amount of chlorophyll after harvesting. Parts of plant for extraction. A good source of chlorophyll for an extraction is a dark green leaf. Rub a fresh leaf on the bottom of a strip of filter paper. Dip the bottom of the strip into a solvent like rubbing alcohol or acetone. The solvents will immediately absorb the chlorophyll. This shows how much chlorophyll contents present in a fresh green leaf. Without grinding: A simple, rapid method requiring few manipulations for the extraction of chlorophylls from fragmented leaf tissue of plants. Unlike the other methods where grinding and subsequent centrifugation are essential, this method makes use of incubation at 65 °C of leaf tissue immersed in dimethyl Sulphoxide. With grinding: It is more accurate method in which Cut it into small pieces with the help of knife into pestle and mortal. Now add appropriate amount of organic solvent in it and start to crush the sample. Chlorophyll doesn’t dissolve in water; it can be dissolved in organic solvents. For further grinding, we used MgCO3. This method was found to be as efficient as organic solvent for chlorophyll extraction and superior in terms of chlorophyll stability. This highly depends on the quantity of a compound that must be removed. If solutions with higher concentrations are used, extra caution is advised because neutralization reactions are exothermic. This can pose a serious problem when using low boiling solvents i.e., diethyl ether, dichloromethane, etc. because a pressure build-up will be observed in the extraction container. Chlorophyll extraction involves collecting and macerating plant samples, submerging the sludge in acetone solvent, centrifuging the resulting mixture, separating the pigments and storing the materials for analysis. Contamination of water, food, or the air (acetone is volatile) can lead to chronic exposure to acetone. As it is very sensitive to handle, we did not use acetone as our extraction solvent. Methanol, propanol, petroleum and N-dimethylformamide can also fulfill this role. 95% ethanol is used and crush the sample. Chlorophyll doesn’t dissolve in water; it can be dissolved in organic solvents. We used ethanol, as ethanol is also environmental friendly, and easy to handle. We have conducted three different experiments to find out the chlorophyll presence its variations and degradation on different basis like time or pathogen attack. In experiment 1, we compared all the observed chlorophyll content values of same variety of broccoli at different intervals of time. In experiment 2, we screened different varieties of broccoli to find the variation in chlorophyll content of each variety. In experiment 3, the broccoli transplants were treated with pathogen sprays to check the activity of pathogenic fungi Fusaium oxysporum and their effect on chlorophyll content. 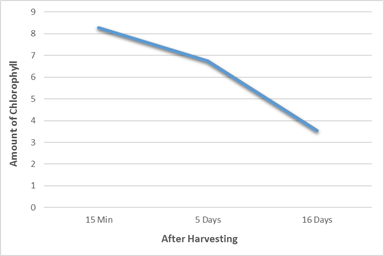 Experiment: 1 DEGRADATION OF CHLOROPHYLL IN BROCCOLI WITH RESPECT TO TIME. Experiment: 2 SCREENING OF 60 VARIETIES. Different varieties of broccoli were taken as sample for analysis of Chlorophyll presence and its deterioration after specific period. 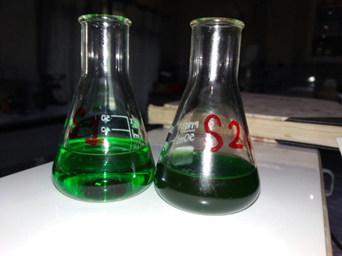 The treatment sample was that, which was used for the extraction of chlorophyll and detection of extracted amount of chlorophyll after specific period. The other, controlled samples were those that were not treated for chlorophyll extraction, but they were analyzed time to time to observe the changes in color of Broccoli to check the chlorophyll deterioration. Analysis of Chlorophyll using spectrophotometer. Calculating amount of chlorophyll by formulae. Before starting work, room temperature and humidity must be noted and observed on everyday basis. We took a single floret of treatment plant after 15 mins of harvesting. Cut it into small pieces with the help of knife into pestle and mortal. Now add appropriate amount of 95% ethanol in it and start to crush the sample. Chlorophyll doesn’t dissolve in water, it can be dissolved in organic solvents thus we used ethanol, and ethanol is also environmental friendly. To further grind the sample, we used MgCO3. Now to completely homogenize the mixture, we used a Homogenizer, that will make very fine mixture of solvent and sample at 35000 rpm. Now take out the mixture equally into two falcon tubes. Place these tubes into centrifugal machine at 2000-3000 rpm for 5 mins. After centrifugation, take out the supernatant with the help of pipette into a flask, this will contain the chlorophyll amount extracted from sample 1. We took another single floret of treatment plant after 15 mins of harvesting. Now add appropriate amount of ethanol in it and start to crush the sample. To further grind the sample, we used MgCO3 . After 15 mins, filter the mixture with the help of a filter paper. The filtrate will contain max. amount of chlorophyll that was extracted from sample. Note: More bright, shiny green color obtained in Hot water bath method. Firstly, calibrate the spectrophotometer by using solvent that was used for dissolving chlorophyll in it. Ethanol is used in cuvette, to check the blank and correct its error. Now fill another cuvette with the extracted chlorophyll solution. Whenever the wavelength is changed, its blank should be checked and corrected. The cuvette should be filled up-to the calibration mark. Note the absorbance and transmittance at different wavelengths in both centrifugation and hot water bath method. 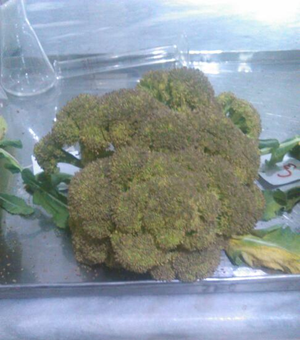 When we observed the extract of broccoli florets, it seemed more sharp and bright color of extract obtained from hot water bath method. Thus, we prefer hot water bath method for further experimentation. Weigh each control sample separately one by one to check the moisture loss after specific period. After harvesting broccoli its chlorophyll contents degrade with the time. The visual analysis also showed that there was enough degradation of chlorophyll in the harvested broccoli florets. There lush green color turned to fade and eventually appeared yellowish and chlorotic. 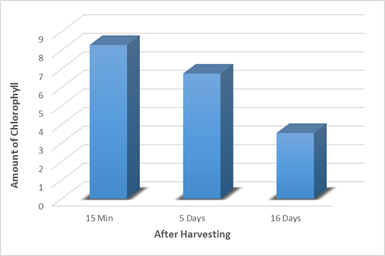 The condition of florets that were freshly harvested after 15 min and after the specific time interval of 5 days, and 16 days, they appeared gradually degrading. 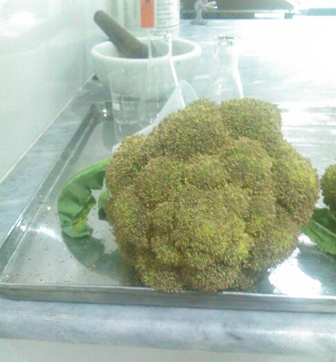 Different varieties of broccoli were screened independently. Each variety was harvested and its spectrometric analysis was done separately to find out the variations in the amount of chlorophyll in each variety. We screened different varieties of broccoli to found the variation in chlorophyll content of each variety. There were not much but clear variations in the chlorophyll content of each variety of broccoli. This means that same plant with different variety can have different chlorophyll and other secondary metabolites. EFFECT OF AND FUSARIUM ON CHLOROPHYLL CONTENT OF BROCCOLI. In this experiment, the broccoli transplants were treated with pathogens to check the activity of pathogenic fungi over chlorophyll amount. The plants were sprayed at different growth stages to check whether the pathogen activity has effect on the growth stage of plant or not, and to check the effect of pathogen on chlorophyll content at different stages of development. After comparison of these three stages, we observed that the Alternaria alternata and Fusarium oxysporum had greatly influenced the amount of chlorophyll in their florets. 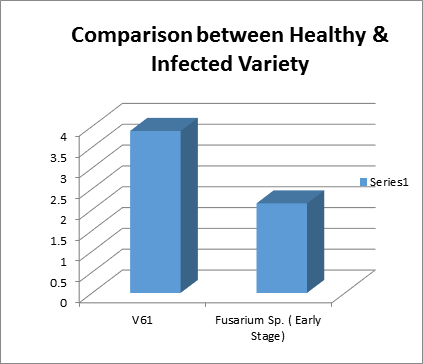 In above graph, we can clearly see that healthy variety named; V18 has greater amount of chlorophyll than diseased plants.We have also observed that Fusarium oxysporum is more damaging to chlorophyll as compared to Alternaria alternata. 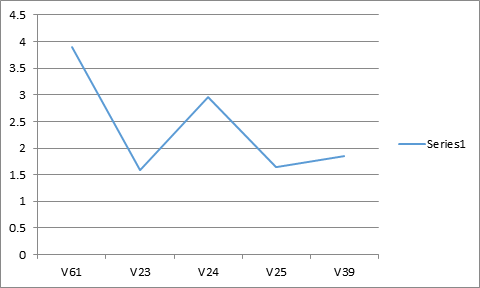 From Experiment 1, we compared all the observed chlorophyll content values of same variety of broccoli at different intervals of time. 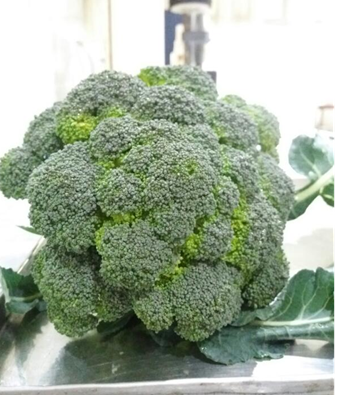 We came to know that, with respect to time and influence of temperature and moisture the harvested broccoli gradually became deficient of Chlorophyll in its florets. There was also the effect of temperature and humidity on broccoli florets as chlorosis. As the temperature decreased the florets loss of chlorophyll. Similarly, humidity was also enough to harm the harvested broccoli florets. In Experiment 2, we screened different varieties of broccoli to found the variation in chlorophyll content of each variety. There were not much but clear variations in the chlorophyll content of each variety of broccoli. This means that same plant with different variety can have different chlorophyll and other secondary metabolites. The plants were sprayed at different growth stages including early stage of growth in 5-10 days, mid stage of 20-25 days, and late growth stage of 30 above days. At the end, we concluded that the pathogenic fungi cause greater effect on transmittance and absorbance of light that means it affects the chlorophyll content in the florets at different growth stages. 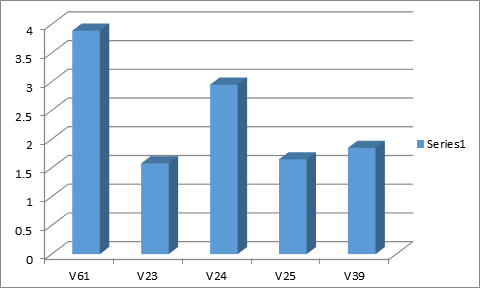 Healthy variety named; V18 has greater amount of chlorophyll than diseased plants. We have also observed that Fusarium oxysporum is more damaging to chlorophyll as compared to Alternaria alternata. Allen, D., Cooksey, C., & Tsai, B. (2010, October 5). Spectrophotometry. Robert D. Simoni, Robert L. Hill, Martha Vaughan and Herbert Tabor (5 December 2003). “A Classic Instrument: The Beckman DU Spectrophotometer and Its Inventor, Arnold O. Beckman”. THE JOURNAL OF BIOLOGICAL CHEMISTRY Vol. 278, No. 49. Retrieved 20 January 2016. Mavrodineanu, Radu; Schultz, J. I.; Menis, Oscar (1973). Accuracy in Spectrophotometry and Luminescence Measurements: Proceedings. Washington, D.C.: U.S. National Bureau of Standards. p. 2. Oke, J. B.; Gunn, J. E. (1983). “Secondary standard stars for absolute spectrophotometry”. The Astrophysical Journal. 266: 713. Retrieved 18 March 2017. Likhodii SS, Serbanescu I, Cortez MA, Murphy P, Snead OC 3rd, Burnham WM. Anticonvulsant properties of acetone, a brain ketone elevated by the ketogenic diet. Ann Neurol. 2003, 54(2):219-226). Van-Cleave, 1993, 107-112; Science Buddies, Paper Chromatography: Advanced Version 2 2013. Lema-Rumińska, A. Woźny, M. Zalewska, S. Łysiak. 2013. ANALYSIS OF THE COLOUR OF FLORETS AND LEAVES IN CHRYSANTHEMUM IN THE ASPECT OF ALL-YEAR-ALL-YEAR-AROUND GLASSHOUSE CULTIVATION. Acta Sci. Pol., Hortorum Cultus 12(2), 123-132 2013. Han, Xicun Z, Z. Wang, Zhao G., Wang L., September 2015, Estimating Chlorophyll Content of Apple Leaves Based on Different Scales in Differential Window. Agricultural sciences, Vol.6 No.9, PP. 1106-1114.